Geek Goddess: I can always make you smile.. I can always make you smile..
Tarry a while boy, haven't you learnt? & I, well... 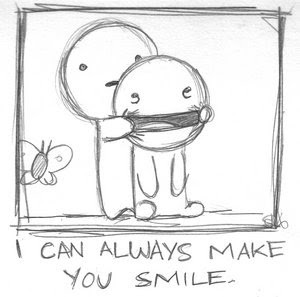 I can always make you smile..
Are you going to fall for the same ploy? Haven't you been here, ain't it familiar? my dear, please don't say this one is for me as well??? ?